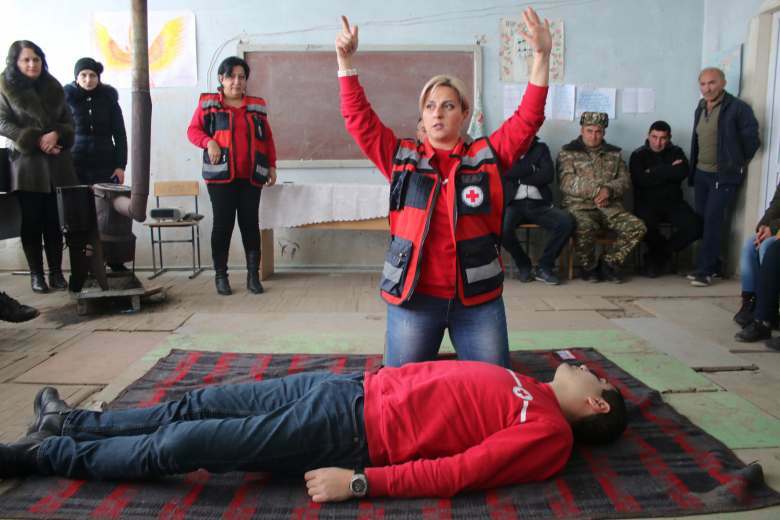 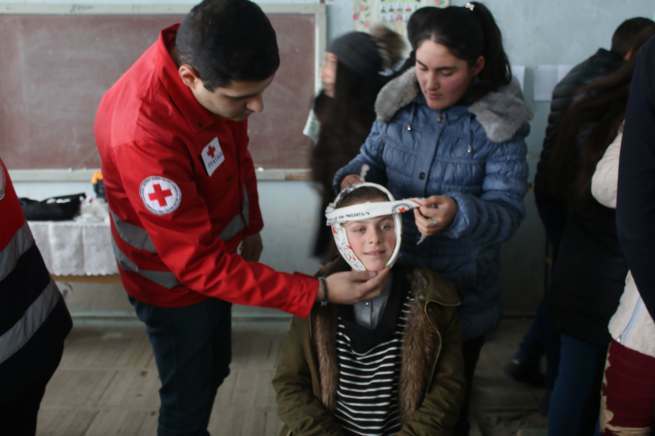 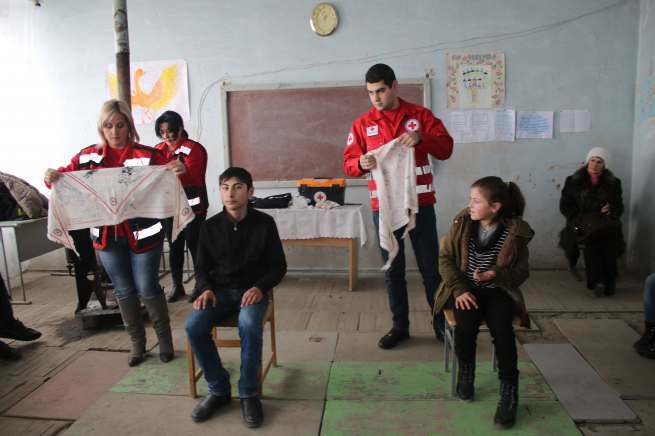 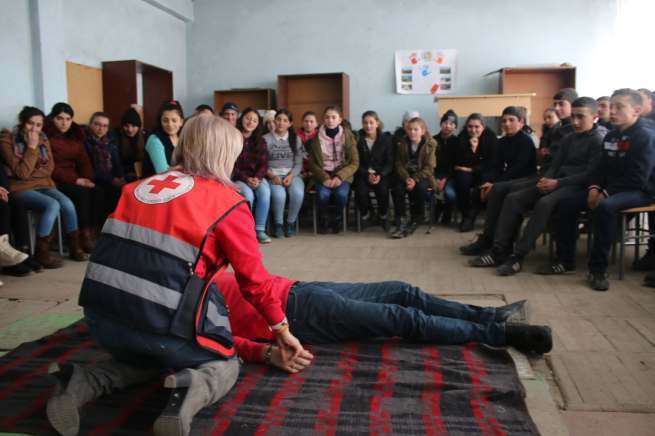 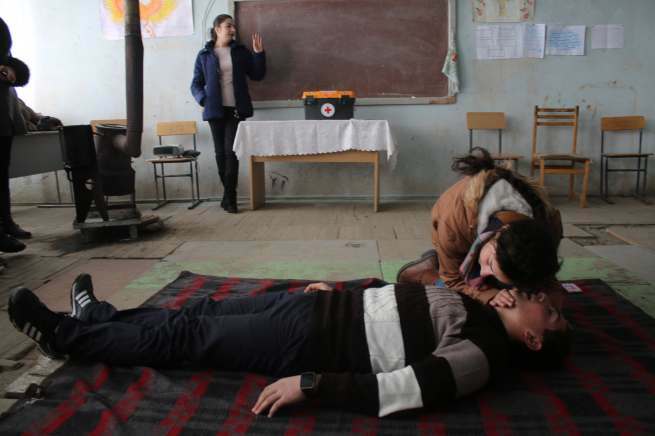 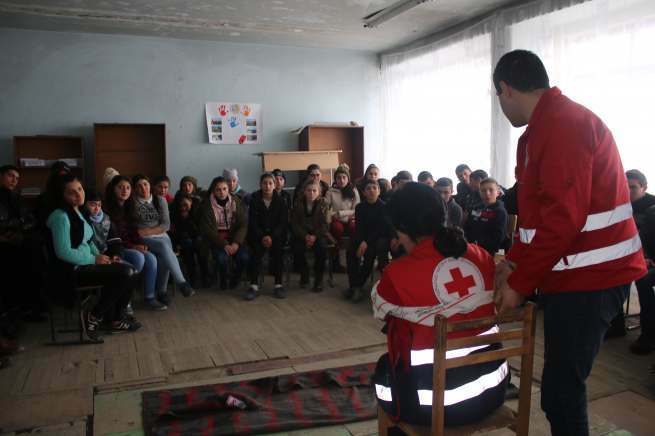 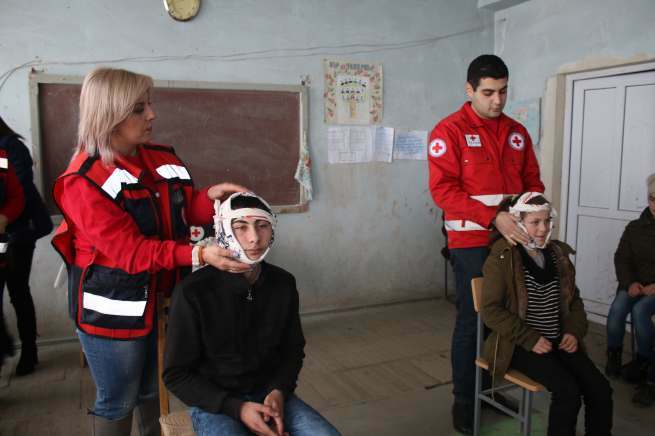 On 1 February, 8-11 grade children of Geghamasar community, in border Gegharkunik region, participated in First Aid training session organized by Armenian Red Cross Society, thanks to the fundraised AMD 200 000 in the frames of "Coca Cola Yerevan Marathon" campaign. 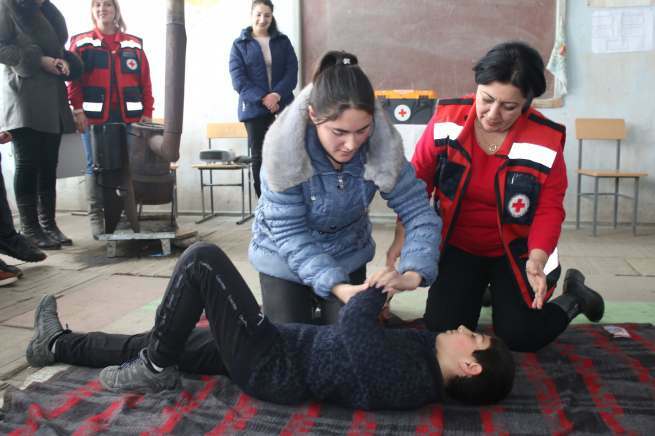 On 21 October, Armenian Red Cross Society joined the "Coca-Cola Yerevan Marathon" with "Run with the Red Cross" fundraising campaign to raise money for conducting First Aid training sessions in border communities. 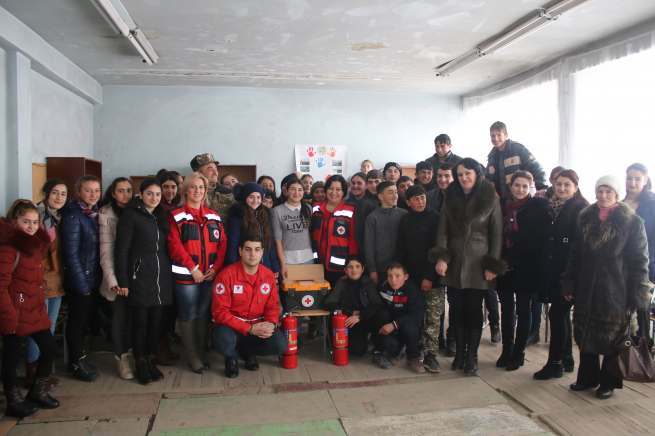 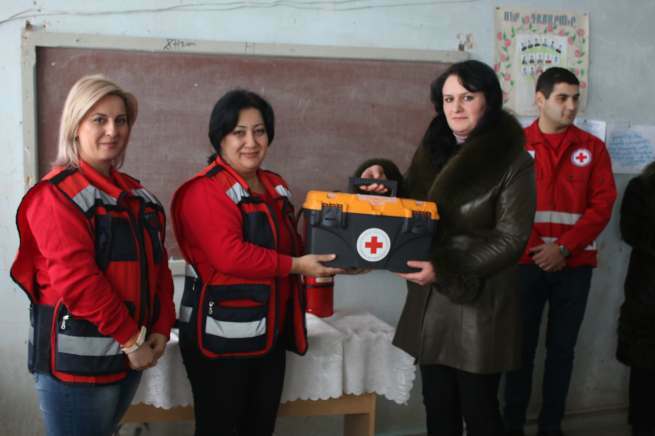 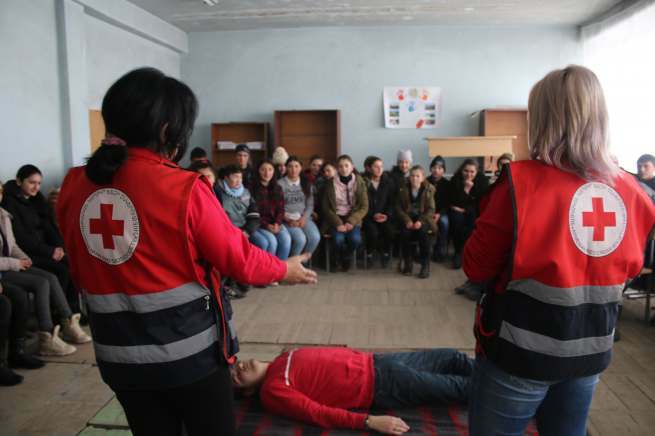 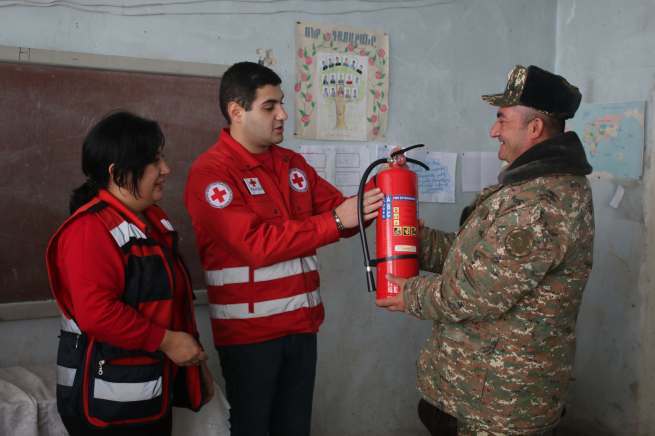 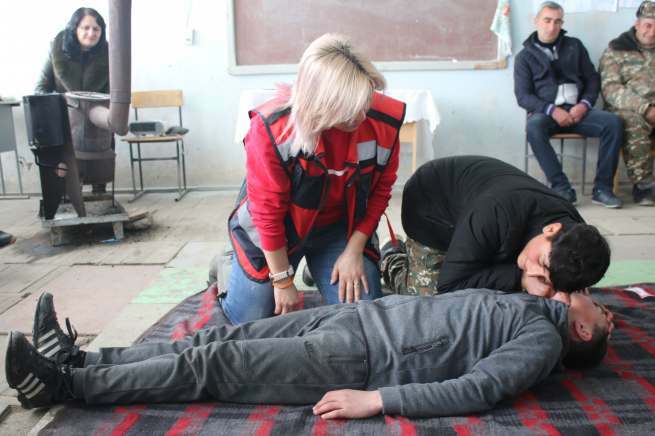 Thanks to the campaign, children from Vazashen communuity of Tavush Region also will have an opportunity to participate in a First Aid Training.